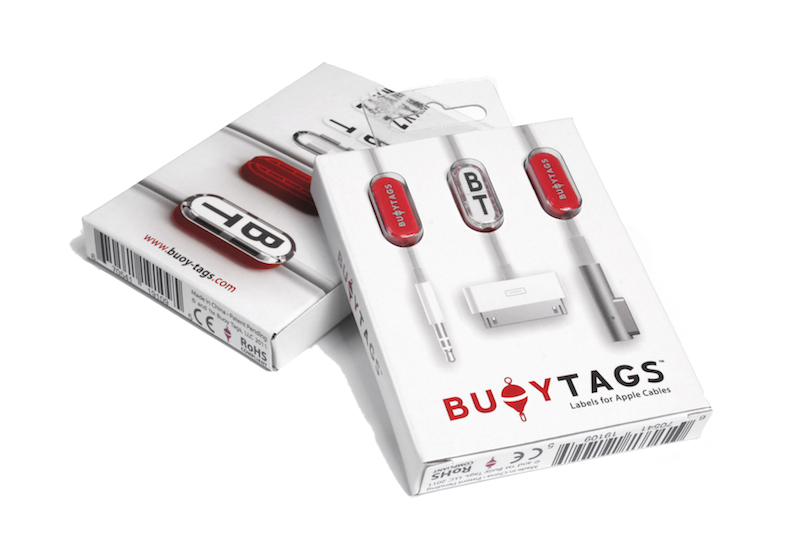 Buoy Tags have you covered whether you're an iPhone, iPad, iPod, Macbook Pro or Macbook Air user. Protect the vital cables of any Apple product that uses Earbuds, a Lightning Cable or a Magsafe Power Adapter. 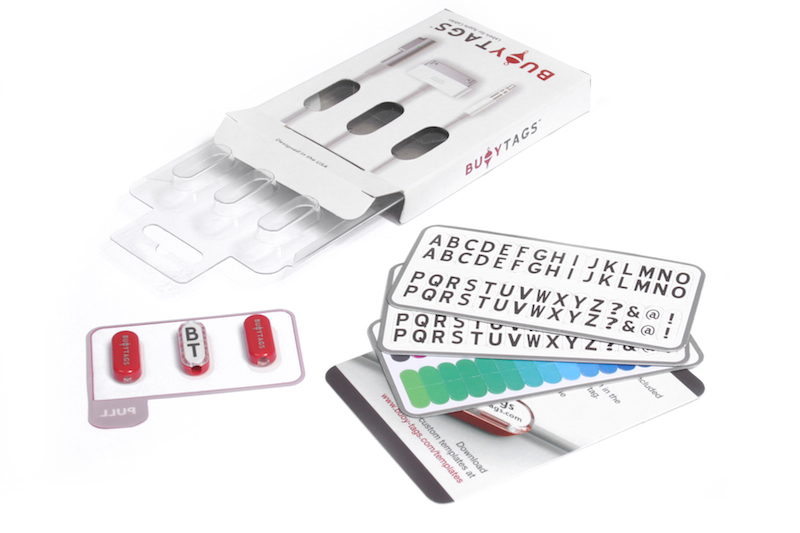 With the included easy to read letter inserts, identifying your cables will now be a simple task. Buoy Tags also come with a variety of color inserts that can be used in any combination. Contact information increases the likelihood of your cables being returned and prevents accidental theft. Want to stop people from walking off with your iPhone charger? Ever had to take your best guess on which Earbuds are yours? Buoy Tags will help you keep track of your cables and stop unwanted sharing. 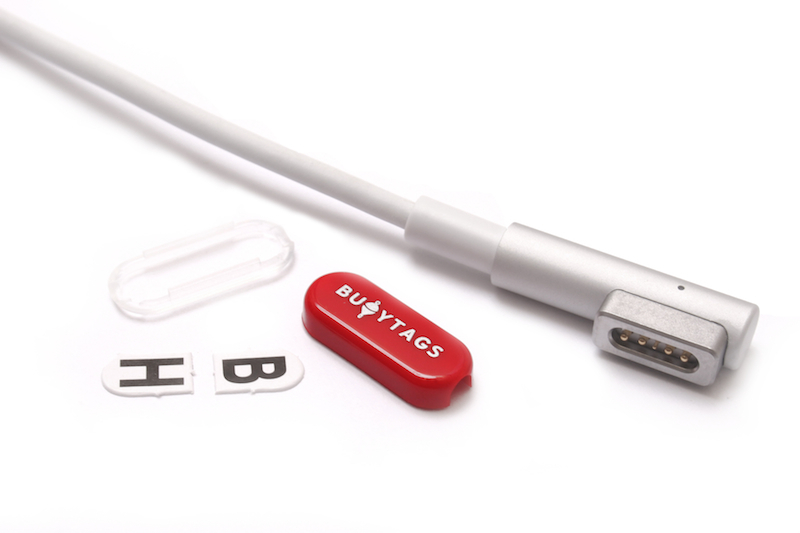 The sleek low-profile design and solid feel of Buoy Tags compliment the look and feel of your Apple gear. Just snap each of the specially sized tags on your Earbuds, USB Dock Cable and Magsafe Adapter to quickly identify your cables at home, in the office, or on the go. If you'd like to take your Buoy Tags a step further, download a template in Illustrator, Word or Photoshop format. Add your full name, email address or phone number and make a misplaced cable more likely to find its way back to you. Whatever fits in the template, works.